Migraines typically have four distinct phases, of which only one phase includes headache pain. Many people experience only some of the four phases, and when a patient develops one or both of the first two phases, the prodrome and aura, without progressing to the cephalalgia or pain stage, the episode qualifies as a silent migraine. Alternatively, you can go through all four stages and experience all the symptoms except the actual pain, and this can apply to either episodic or chronic migraine patients. If you experience migraines, silent or otherwise, on 15 out of 30 days each month, on average, your condition is categorized as chronic. An aura stage with visual effects such as flashing lights, halos, blurred or clouded vision, or blind spots across your field of vision. You might see wavy or uneven lines, or feel as if you’re inside a long, dark tunnel. A prodrome stage that includes anxiety, yawning without feeling drowsy, tiredness and irritation. During this stage you might also develop food cravings, stiffness in your neck and feel an urge to urinate more often. a stiff, sore neck or jaw. The only symptom absent is the actual headache pain. A postdrome phase that includes exhaustion, a drained feeling, and the potential to sink into depression. Evidence exists that these symptoms can last for many years, with one patient reporting having daily aura with or without pain for up to 2 years, while another experienced the symptoms of chronic migraine without the pain continuously for almost 12 years. Medical science hasn’t yet conclusively figured out why migraines occur, but what we do know is that they may be caused by the difficulty some brains have to adjust to sensory stimulations, such as lights, noise etc. Genetic factors may be a cause, and changes taking place in the brain’s chemicals and blood flow could also be to blame. Over time, most chronic migraine sufferers learn to understand what triggers their episodes, and silent migraines are no exception. Individual triggers could be environmental, such as odors, sounds, changes in barometric pressure. 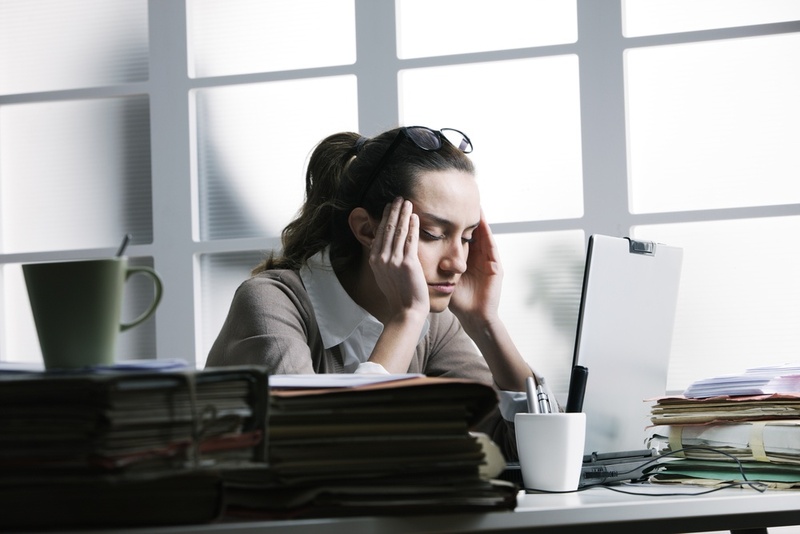 Physiological triggers include stress, hunger, too much or too little sleep, hormonal changes, exercise, sinus or neck problems, and eye strain. Fermented foods, caffeinated drinks, alcohol, and chemical preservatives found in foods can also trigger a migraine episode. Medications like oral contraceptives or vasodilators that open the blood vessels can also trigger migraine attacks, because they set off an electrical depression in the brain, resulting in changes in brain activity and blood flow. This usually starts in the occipital lobes at the rear of the head, which are generally accepted as being connected with aura common in migraine sufferers. The risk factors for both silent and regular migraines are similar, with women having a higher chance of experiencing episodes than men. People under 40 years are more likely to get episodic migraines, while over 40s have a higher risk of developing chronic migraine, with or without pain. Women who are menstruating, pregnant or going through menopause also have a higher risk factor, as do patients who have a family history of migraine. Migraineurs who started young with their attacks could outgrow the headache phase and get only silent migraines, while patients who don’t experience aura are unlikely to ever experience a silent episode. Up to 50 percent of all people suffering from migraines remain undiagnosed, according to the Migraine Research Foundation, and only half of all patients who are actually diagnosed receive treatment for the condition. Patients who believe they are experiencing silent episodes should contact a migraine specialist or clinic, or ask their primary care physician for referral to a headache clinic or a neurologist specializing in headache management. Keeping a migraine diary that tracks everything you eat, drink, and do, is an important step in getting a diagnosis. Record changes in your sleep or stress levels too, along with other potential triggers. Keep track of your symptoms, and the times they start and end. Combined with your medical history, this diary can help your migraine doctor determine what’s happening to you. Doctors typically use blood tests, CT or MRI scans, or a spinal tap, along with your medical history and a physical examination to help diagnose chronic migraine. One of the issues with diagnosing silent migraines is that the symptoms can resemble other conditions, or they could be signs of a more serious medical issue, such as a stroke, meningitis or a brain bleed. This can cause major anxiety for patients who self-diagnose, so it’s important to consult with a medical professional urgently to rule out other conditions. No reliable cure exists yet for migraines, but treatments can control both the frequency and severity of attacks. Preventing silent migraines from taking hold is obviously more desirable than any other form of control, so tracking and avoiding your triggers is an excellent strategy. Eat well, get plenty of rest and appropriate exercise, and keep a close eye on your stress. For infrequent or non-severe silent migraines, you might not require treatment. If they start to occur more often, however, or begin to impact your ability to enjoy life and do regular tasks, you need to consider treatment options. Currently, more than 100 medications exist that can treat chronic silent migraines, and you may have to try out several different drugs before you find the right one for you. Tell your doctor or pharmacist about all prescription and non-prescription medication you take to prevent interactions and side effects from bad combinations. To treat some of the immediate silent migraine symptoms, take over-the-counter analgesics such as aspirin, acetaminophen, and NSAIDs like ibuprofen and naproxen. Although caffeine is a migraine trigger, some patients find drinking a cup of coffee or taking a tablet containing caffeine helps, and for those who suffer from chronic silent migraines with nausea and vomiting, anti-nausea medications could be a good bet. For some patients, preventive medications such as beta-blockers like propranolol and metoprolol are possible options, along with calcium channel blockers like verapamil and diltiazem, or tricyclic antidepressants such as amitriptyline or nortriptyline. Alternative treatments are often safer than drugs in terms of side effects, although they don’t usually have as rapid a result. Biofeedback, massage therapy, behavioral therapy, and acupuncture all help to reduce stress, which can be a trigger for chronic silent migraines, and can also offer relief during episodes.